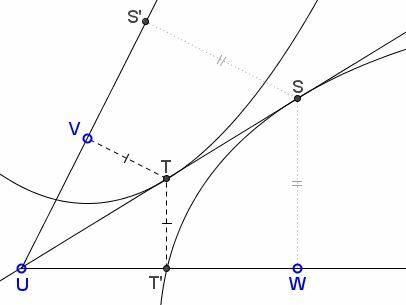 Given two parabolas $(V,UW)$ with the focus at $V$ and $UW$ as the directrix, and $(W,UV)$ with $W$ as the focus and $UV$ the directrix. 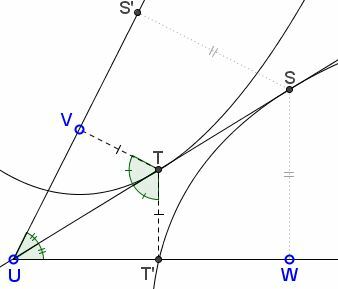 The situation is absolutely symmetric with respect two the two parabolas, meaning that the tangent to $(W,UV)$ from $U$ also bisects $\angle VUW;$ thus, the two bisectors coincide. The above statement is a lemma by Emmanuel José Garc�a posted at his blog site.